Category Archives for "emotional numbness"
Growing up with your emotions ignored is a far bigger thing than most people would ever imagine. As a child, to cope with the unspoken demands of your childhood home, “Keep your feelings to yourself,” you push your emotions off to the other side of a wall, and this is, without a doubt, a brilliant and adaptive move. After all, now those burdensome emotions are no longer a problem for your parents or yourself. But when you grow up, it does become a problem. Something is missing inside you; a valuable resource that you need. If only you had full access to your feelings, they would guide you, inform you, motivate and connect you. Sadly, you are operating with a dearth of this rich asset that everyone else enjoys. The strange thing about this missing asset is that even though you don’t realize what you are missing, you feel it. 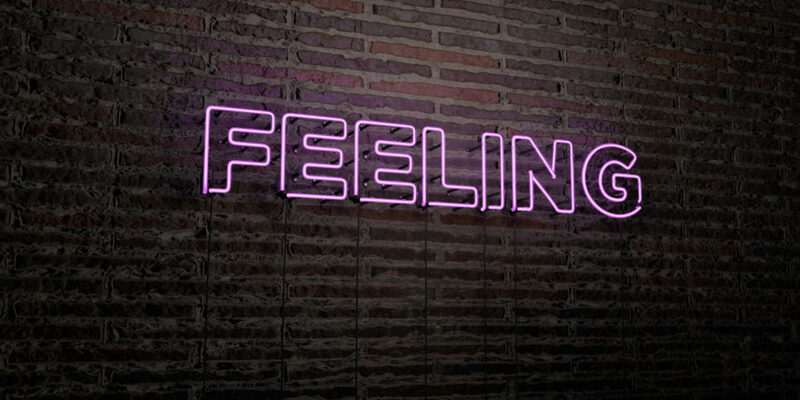 When it comes to blocked-off feelings, the body knows. Somehow, in some way, you will, in your body, feel it. Fortunately, there are ways to make your emptiness go away. There are things you can do that will powerfully change your life for the better. No, healing your emptiness is not simple, but it is definitely possible. If you find this Table overwhelming, please don’t be alarmed. All of these items can be done, and improvement in one of these areas often will feed into other areas. I know this because I have been through them with many people in therapy, and have witnessed amazing progress. However, please take note of two things: It takes commitment, conscious effort and time. You may benefit from the help of a therapist. It is, though, entirely possible to fill your emptiness on your own, with the right structure and support. Accept and Grieve The first and most vital step for everyone who feels empty is to recognize that your empty space represents something that you didn’t get in childhood. Identify what is missing (emotional validation, connection and perhaps rejected parts of yourself), and grieve it all. This may involve feeling sad and/or angry. It’s okay. You have to feel it in order to move forward. Break Down Your Wall Try to access your feelings. This process may seem impossible to many, but it is not. Focusing inward rather than outward, paying attention, and using various mindfulness and other emotion techniques can help you feel them more. Then it becomes vital to accept them and learn to name them, which brings us on to Step 3. 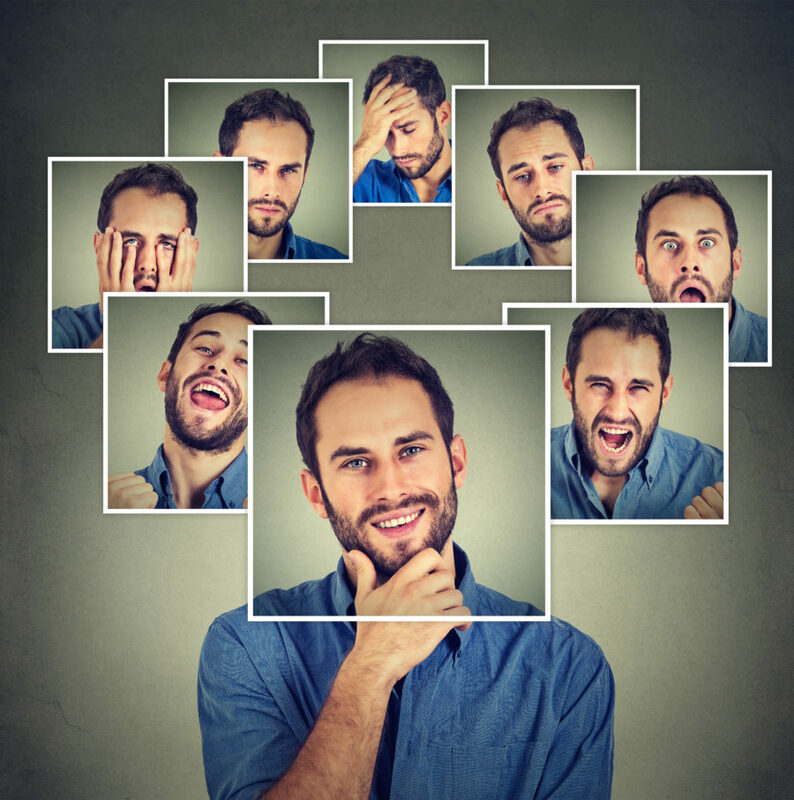 Learn the Emotion Skills You Missed Start tuning in to what you’re feeling and why. Working on learning how to put your emotions into words, how and when to express your feelings, and when and how to manage them. All of these skills can be learned. Depending on the depth of your empty feelings, you may be able to learn them yourself with enough guidance. 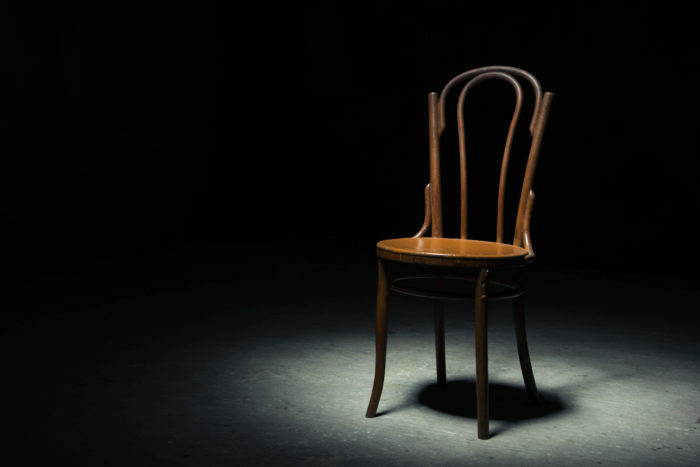 If you have the deepest, most painful kind of emptiness, Dialectical Behavior Therapy (DBT) is most helpful. It is designed to help you manage your feelings and impulses. Deepen Your Relationships When you begin to break through your wall, you’ll be feeling more, and you will be feeling different. People in your life will start to tell you that you seem different. You’ll become more emotionally connected and emotionally available, more interesting, and more real. Now is the time to start taking risks. Share with a trusted person that you are working on getting closer to people, and on feeling more connected. Work on becoming more open, sharing more, and being more vulnerable. An amazing result of working through the four steps is this: you will gradually learn to love yourself. Picture yourself as the child you were, growing up as you did. What parts of you did your parents ignore or reject? Know that they did so because of who they were, not because of who you were. Have compassion for that little child, and for yourself as an adult. Your struggle is real, and you deserve more and better. You must reclaim, and learn to love, all of the different parts of who you are: your emotions, your needs, your inner you. Your emptiness is an important part of you. It represents the old and the past, but also the future and the new. It is not an absence but space, filled not with pain, but with possibility. It is room for your new story, the one you will write yourself. It is room for your life, your feelings, and the people who you choose. Fill it with self-knowledge, self-care, self-compassion, self-love, and your people. Then you will find yourself running on empty no more. 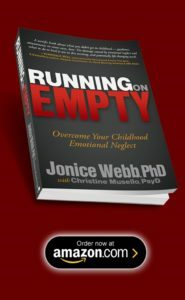 Childhood Emotional Neglect can be subtle and unmemorable so it can be difficult to know if you grew up with it. 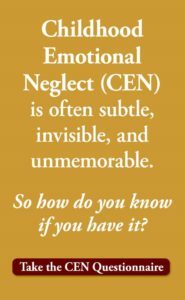 To find out, Take The Emotional Neglect Test. It’s free. 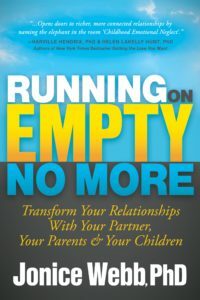 To learn much more about how to reclaim your feelings and use them, see the books Running On Empty: Overcome Your Childhood Emotional Neglect and Running On Empty No More: Transform Your Relationships. A version of this article was first published on psychcentral.com. It has been reproduced here with permission of the author.